Highly effective communication around a patient visit to their physician is becoming increasingly important in the current time-sensitive environment of modern medicine. 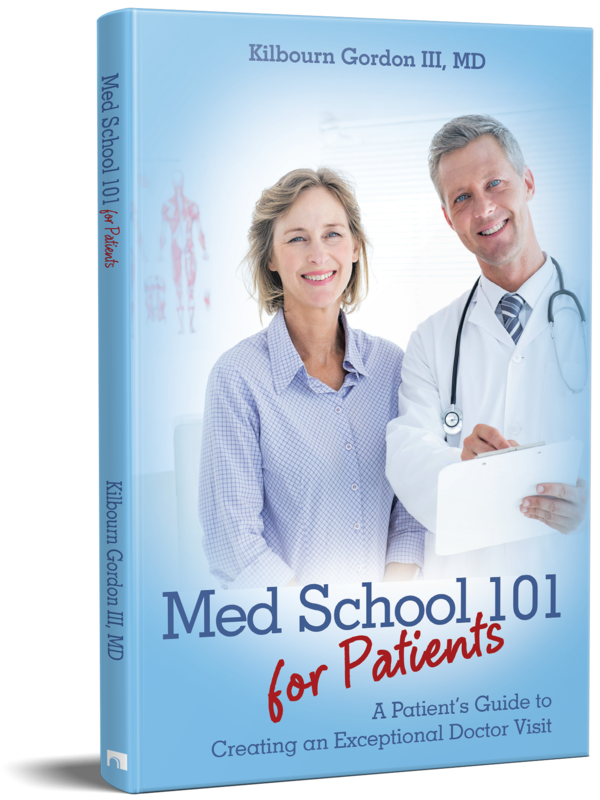 Dr. Kilbourn Gordon III, in this highly practical and eminently readable book, provides a most useful guide for navigating before, during, and after that visit. Med School 101 for Patients elevates the quality of the medical office visit to a higher level by emphasizing the importance of an effective partnership between patient and physician in today’s medicine, all with an eye toward improving patient care.